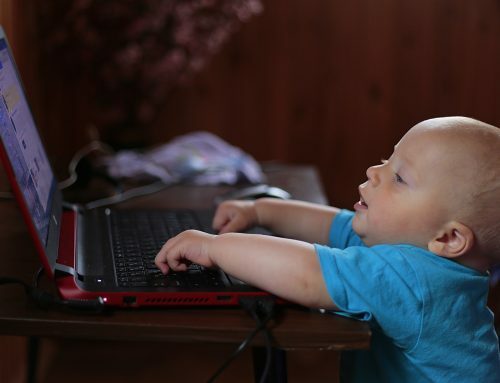 When teaching in an English immersion environment like VIPKID, you can’t switch to the student’s native language to explain a concept, so how do you communicate with them? By using props of course! Props are a huge part of teaching; they are critical when explaining vocabulary words and different concepts as well as keeping the student engaged in the lesson. 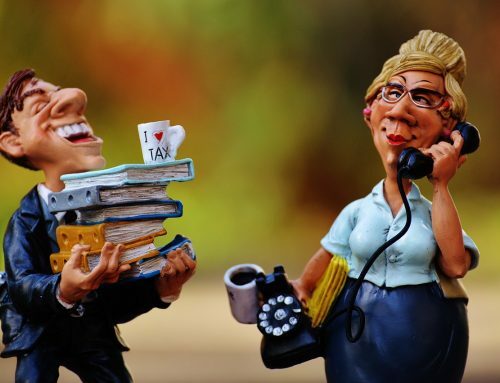 I can tell you from my own personal experience (I currently live in a country where I do not speak the language, which I have written about here), it can be really helpful to have someone show you something as opposed to just saying the word. Most new teachers are in “trial jail” because they have to teach five trial classes before being allowed to teach Major Courses (MC). As a result, there have been many questions about the best props to use for trial classes, how many to use, and keeping them organized during classes. How Many Props Should I Use? First of all, you do NOT need twenty props. I find that three to six props works well for most lessons. 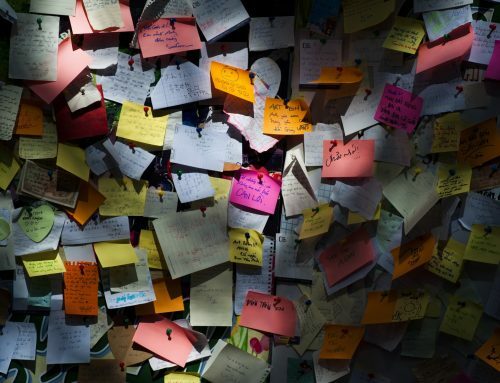 If you have too many, you will be scrambling while teaching, and it’s hard to stay organized. Especially when you are just starting out, keep it simple. Even more importantly, try to find a balance which works for you. 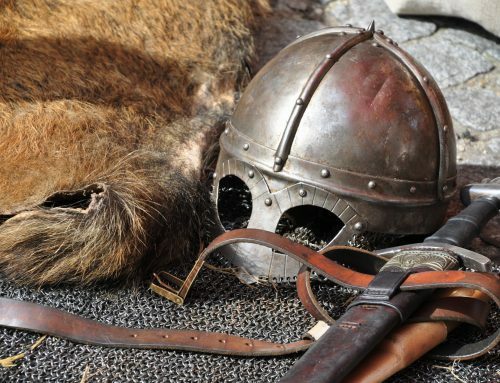 Yes, there are amazing teachers that use many props but don’t feel like you have to. Now having said that, you still need at least two props for a class (three if it is Pre-VIPKID). If you ever have to submit a class for review because you received low feedback from a parent, you need to have used at least two props (three for Pre-VIPKID), or they will not invalidate the parent feedback. 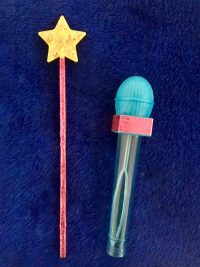 My two go-to props are a star wand for giving stars and a microphone for singing songs. Using these props helps guarantee that I use at least two during class. I bought my star want from Amazon, and I found my microphone at the Dollar Store. It’s a bubble wand that I doctored to look more like a microphone. It used to actually have bubbles in it, until I spilled it all over my computer at 4:30 AM. For trials, I most often teach lessons 2.1 and 2.4; consequently, these also happen to be the trials I use the most props for. 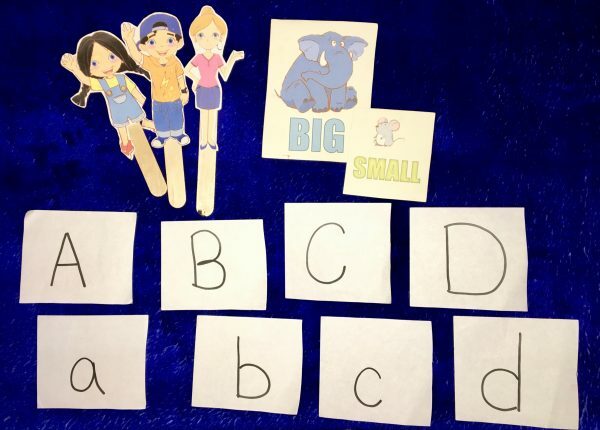 Some of my favorite props for 2.1 are flashcards as well as cards that say, “BIG” and “small.” I also use puppets of Meg, Mike, and Teacher Sarah. On many of the Facebook VIPKID groups, you can find people who have already made files for these characters. You just have to print and cut them out, and glue them to a popsicle stick. Lesson 2.4 is all about people in your family. I really enjoy teaching this trial. Honestly, a little part of me dies each time I teach 2.1; I know there are teachers out there who love 2.1, but I find it really boring just teaching Big A, small a for 25 minutes. But once you get to 2.4, there are so many different activities you can do with the student. 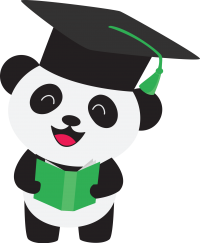 One of my favorites is to teach Baobao how to say, “I love my mom” and “I love my dad.” Parents love hearing that, and I think it has helped me get some trial conversions. It’s also a great filler activity if you still have ten minutes left, and you don’t know what else to do. For 2.4, my favorite props are puppets for Mom, Dad, and Lisa. 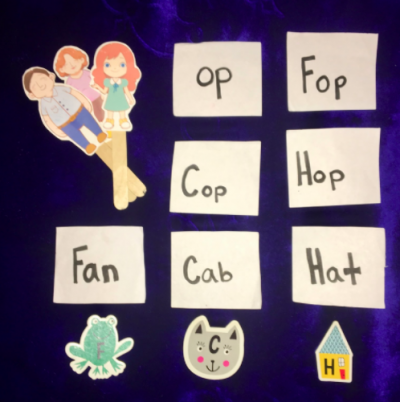 I also made very simple flash cards with the [-op] words as well as the words that go with the letters C, H, and F. If you live close to a Target, the dollar section has a great selection of educational tools close to back-to-school time. Last year, I found magnetic letters that work great for trials and Level Two classes. For the higher levels, lessons 3.1 and 4.1 are fairly common to teach during trial lessons. Lesson 3.1 is mostly about the days of the week. This can be a challenging lesson to make interesting, so having props helps make it more engaging for the student. At the beginning of this trial, it has some pictures of a pig eating an ice cream cone as well as elephants walking in the rain. I use either a stuffed animal pig or a flashcard with a pig on it as well as a picture of an elephant. I also use my weather flashcards, sunny and rainy. Lesson 4.1 is mostly about different types of landforms and the main vocabulary word is “island.” It can be tricky to find props for these higher level classes. I recommend using real life images to help support the lesson content. Some teachers will print out pictures and use them as flashcards. Other teachers will put their pictures on an iPad and hold it up for the student to see. I personally like using a digital program called Manycam, which allows me to project images directly on my screen. 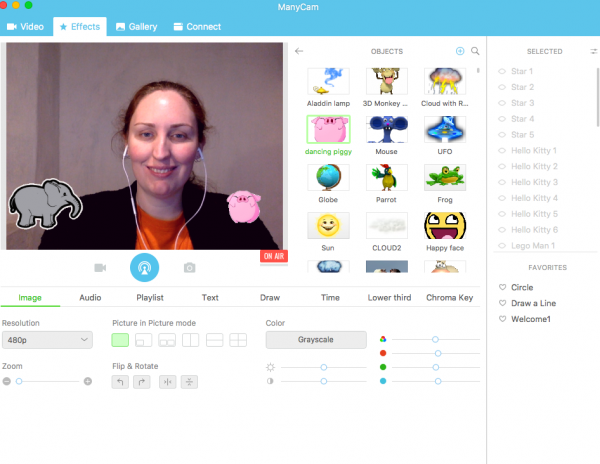 Learn more about ManyCam. As you teach more lessons, you will find many props will work for multiple levels. 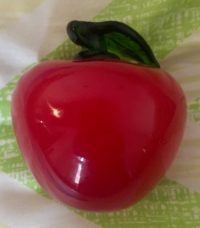 One of my favorite props is a fake red apple. I use it for so many different things: eat, red, food, and fruit. In fact, I made almost all of my props. You can probably see that my Meg is looking a bit worn out; she lost one of her hands and her leg is ripping off. I probably should make a new one soon before she dies during a class and scares little Bao Bao. I also cut out most of my flashcards from printer paper one morning during a trial no-show. Again, not fancy at all. Remember, there are over 250,000 students who take classes with VIPKID, and the right teacher is out there for each student. Whether you have twenty props or two, know that your students will find you. Caryn has taught with VIPKID for over year. Before making the switch to teaching online, she was a high school English teacher. Currently, she teaches 6th grade Language Arts along with VIPKID. She has her Master's Degree in teaching secondary education. She loves using Feedback Panda to save time when writing feedback for her lessons. Her templates have been shared over 160,000 times!